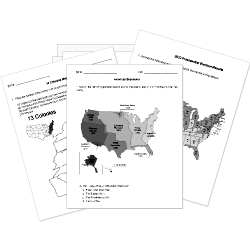 You can create printable tests and worksheets from these Grade 12 Civil War questions! Select one or more questions using the checkboxes above each question. Then click the add selected questions to a test button before moving to another page. Immediately following the Civil War, African-Americans were unable to hold political office in the south. What was the name of the artist who was hired by "Harper's Magazine" to go to battles and paint Civil War scenes? What did the people do at the First Battle at Bull Run? What were the key issues involved in the compromises made over slavery? "Slavery was like holding a wolf by its ears- you needed it- but you daren't let go of it" was said by who? Who was known to stall and ask for more food, weapons and men? About 1 million Americans lost their lives in the Civil War. What was one difference between the northern economy and the southern economy? Carmichael was elected national chairman of SNCC in . Which group of Americans were not victims of Jim Crow Laws? The Peach Orchard was found at what battle? What was one social difference between the North and the South?